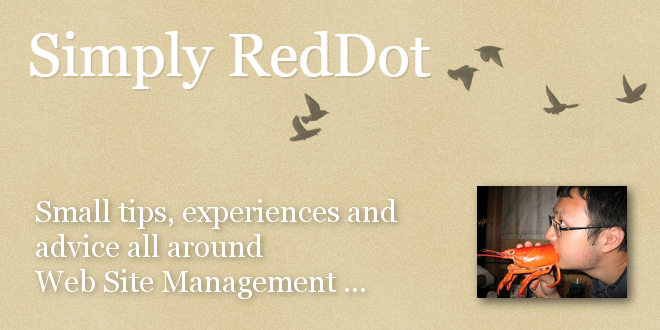 Simply RedDot: "Duplicate Pages" - Open Text Web Solutions Usergroup e.V. Most publication issues can be caused by pages connected to multiple locations. The most common symptom is having duplicate pages on the site. 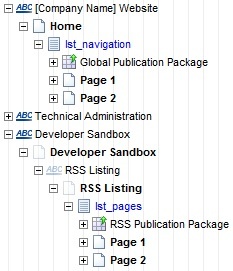 For example: Both page 1 and page 2 are connected to multiple locations with different publication package at each location, so the pages will get published twice, each time to a different location. Edit the content class of "RSS Listing", use preexecution to replace islink=2 with islink=10 to trick CMS into thinking the following pages are references, hence not to crawl and publish following pages. Use the list to pull info_page_guid from the connected page. Page 1 and page 2 still get published according to different publication packages, but links generated always point to the pages' main link.